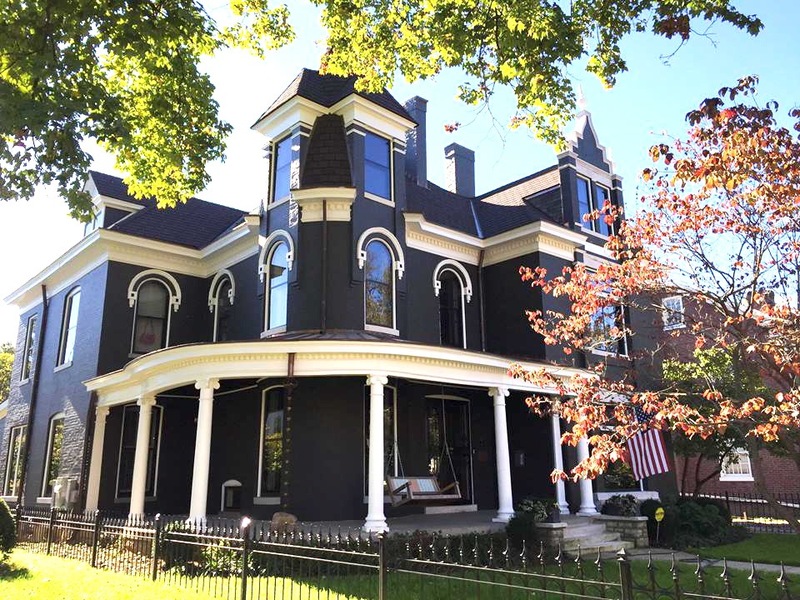 The Jeffeerson Street neighborhood is one of Lexington's crown jewels. 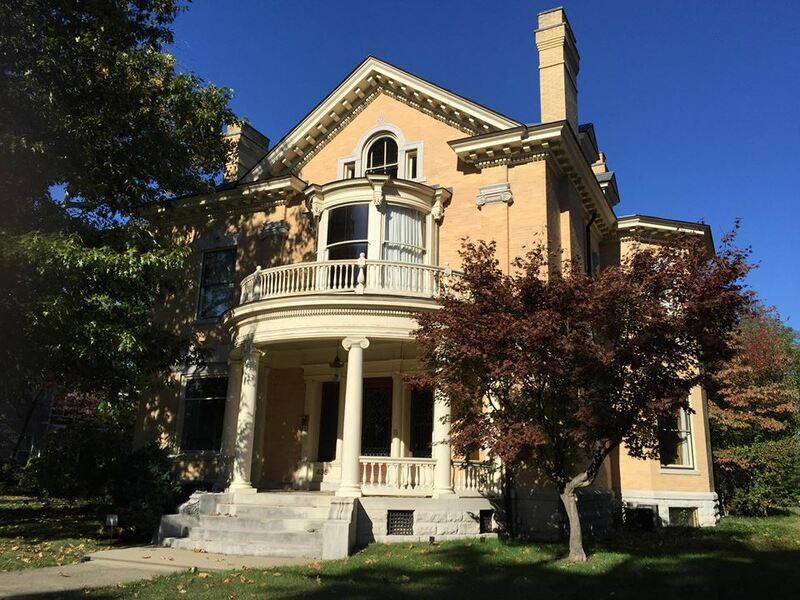 It consists of Jefferson Street on the western edge, North Broadway and the Transylvania University campus on the eastern edge, and Short Street and 2nd through 6th Streets in between. 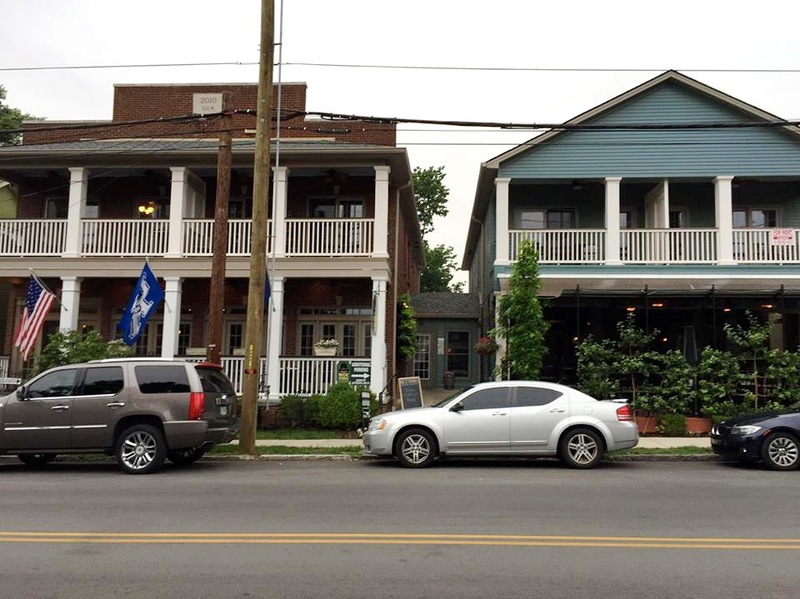 These six square blocks housed the original Old Aristocracy of Kentucky. 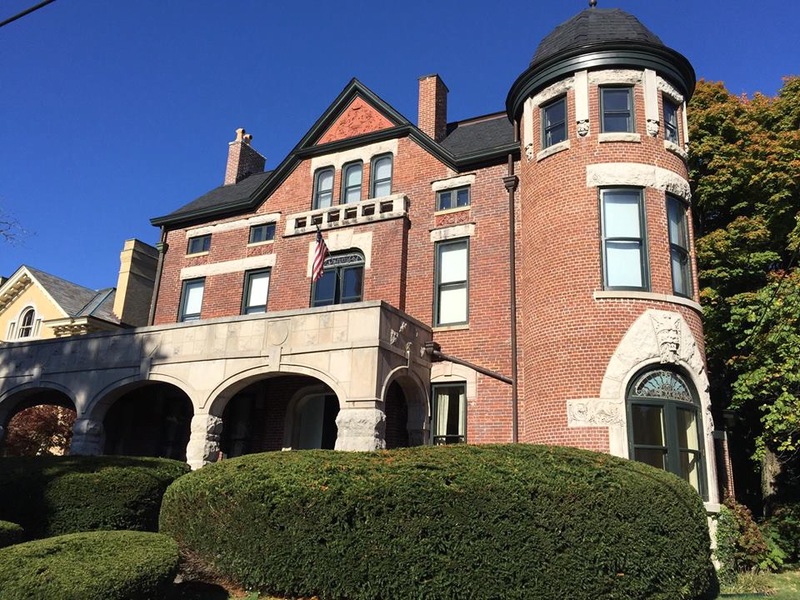 Every building, home or business, has historical significance. As a business district, Jefferson Street fell into decline, but since 2000 it has experienced an amazing resurgence, and now boasts cutting edge restaurants, gastropubs, nightclubs, wineries and tapas bars. However, if you go, you really should include a walk around the neighborhood. The homes here are an architectural tour de force. You could use up a camera chip taking photos of homes, many of which were built before the Civil War and are lovingly maintained. The homes and businesses that have been carefully converted to restaurants preserve the structural features that make them unique. Jefferson Street is a long block behind Rupp Arena and the Hyatt. The Blue Heron is an upscale restaurant that claims to be a steakhouse but serves very good seafood, chicken, lamb and pork chops. The historic house is beautiful. It's worth eating here just to admire the craftsmanship. On weekends reservations are advised, and parking can be a problem. Consider a weeknight or arriving at 5 pm on weekends. Appetizers include Crabcakes, Shrimp & Grits, Beef Carpaccio, Baked Brie (fig preserves, grilled bread and spiced walnuts). Of their Salads, we like the Bibb (with avocado, grapefruit and toasted almonds). There's a Soup of the Day, and it's always good, especially when it's their Curried Butternut Squash. Sides rotate, but whenever the Braised Collards With Smoked Ham is available order it. The Green Beans Almondine is always good, too. They offer a Fish of the Day, often Sea Bass, and Pasta of the Day, both of which are excellent. On the regular menu, their Lamb, Pork Chop and Chicken are outstanding. You can also order the Shrimp & Grits as an Entree. Then there are the Steaks. They offer Ribeye, Porterhouse, NY Strip, Flatiron, Tenderloin, etc. But they're overpriced. These are good (not great) steaks, prepared well (but not exquisitely). They're just not $44 and $38 quality. We still love The Blue Heron, but we think the other entrees are the best deal. 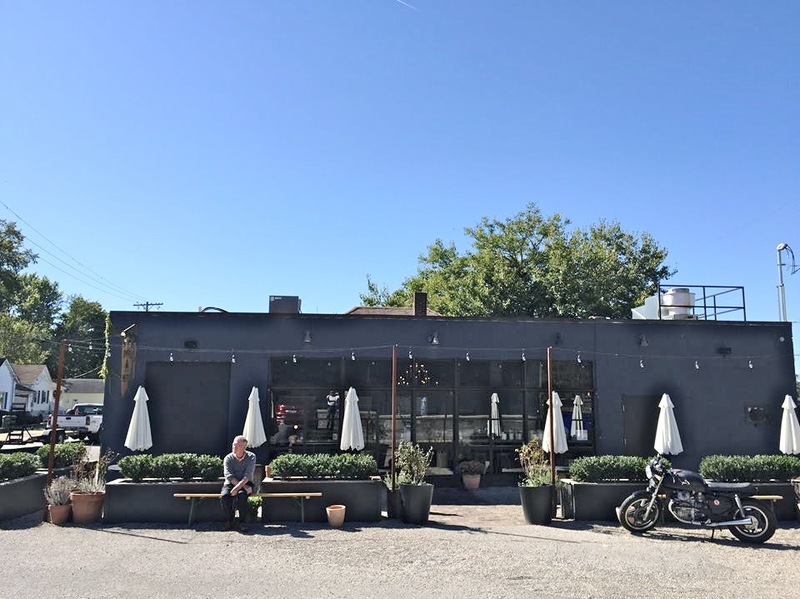 El Espolon hides over on Jefferson Street, unnoticed by most Lexington restaurant goers. That is a mistake. For Cesar Rodriguez includes some appealing items. The corn chips and very mild Salsa are homemade and delicious. Espolon offers a nightly special. Monday night is a Molcajete, a volcanic bowl like those in any Mexican village but rarely seen in the U.S. Thinly sliced grilled chicken, steak and veggies are served in these bowls, a Mexican version of the Dutch Oven or Indian Tagine. It's worth coming to Espolon just for a Molcajete. However, the other nightly specials --- Chimichangas, Carne Azada, La Bandera ( one Chili Relleno, Enchilada and Chimichanga), Jumbo Burrito, Quesadillas, etc.) --- are also good. Four Brunch specials worth trying : Huevos Con Chorizo (eggs and Mexican sausage scrambled with rice and beans), Carne Azada Con Huevos (thin slices of steak with two eggs, rice and beans), Huevos Rancheros (eggs, salsa, rice and beans), and Chilaquiles (fried tortillas topped with green or red salsa, shredded chicken and cheese). The Chicken, Shrimp, Steak and Pork entrees are all good. There are five kinds of Nachos and 19 kinds of Fajitas. Service is shaky; many servers don't seem to know what they're doing. So come prepared to be patient. The Grey Goose is historic, famous and extremely popular. Its loyal fans say it has the best patio in town. The patio is at the back of the building and is quite large. It's shaded in the Spring and Summer and has heaters for the Fall and Winter. Even in marginal weather, more people sit on the patio than inside the rather dark bar/restaurant. 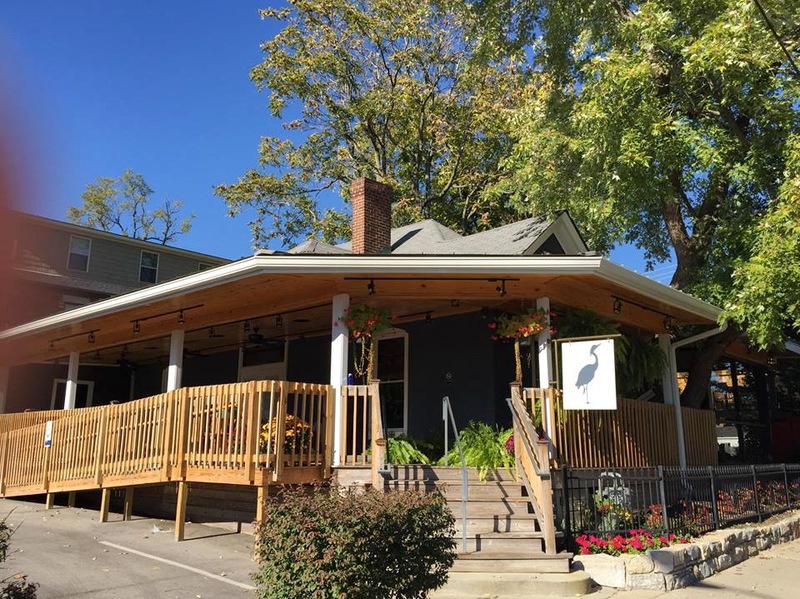 The Goose is supposed to be a beer lover's place, but lately, with the explosion of craft beers, it has fallen behind its Lexington rivals in number and quality carried. However, they do carry Kentucky Bourbon Barrel Ale, on draft no less, which in the eyes of many beer conneisseurs is a huge star in their favor. It's supposed to be a great restaurant, but the service is very slow, and the menu brief. 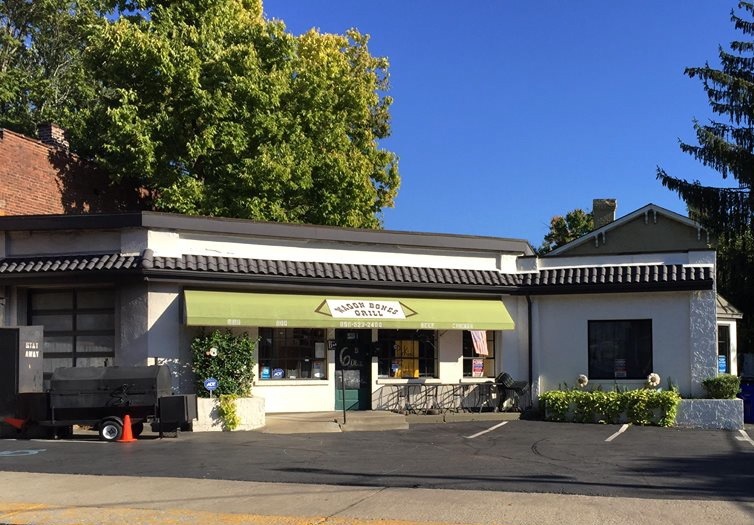 They're famous for their Pizza, baked on stone in a wood fired oven. The crust is so thin it's more like a taco than a pizza. If you're a thin crust fan, which many New York and New England natives are, you will love this, because it is fixed exactly right. The toppings are excellent, which has helped generate a loyal following. The Pesto, Greek and Hot Brown Pizzas are their best, although on days when they're serving their Blue Cheese / Bacon / Sweet Onion Pizza someone in your group really must try it. It's unique and delicious. 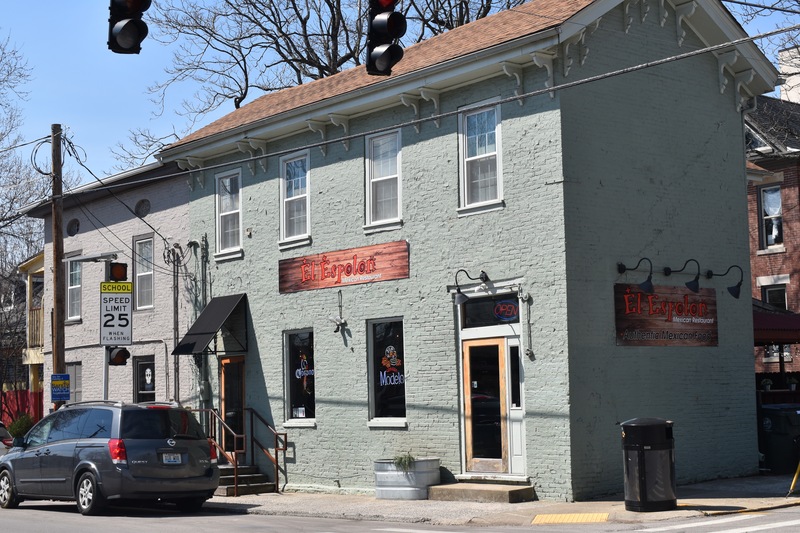 They brag about their steaks, but any of Lexington's dozen steak restaurants serve better. The Goose does serve a fine salad, including their creative Fried Wedge Salad.. Their Wings are outstanding. So the place has its loyal cult, who gather before and after games at Rupp Arena or to watch away games on the many TVs, stop on the way home from Keeneland, or stop after work. Parking can be a problem once the lot adjacent and the one across the street fill up. And The Goose has one final quirk : no one tends the front door. You'll walk in and be left standing there. Eventually, you realize you're expected to just find your way to an empty table, and 10 or 15 minutes later a waiter will wander over. We've seen several people stand there bewildered for five minutes, then give up and leave. 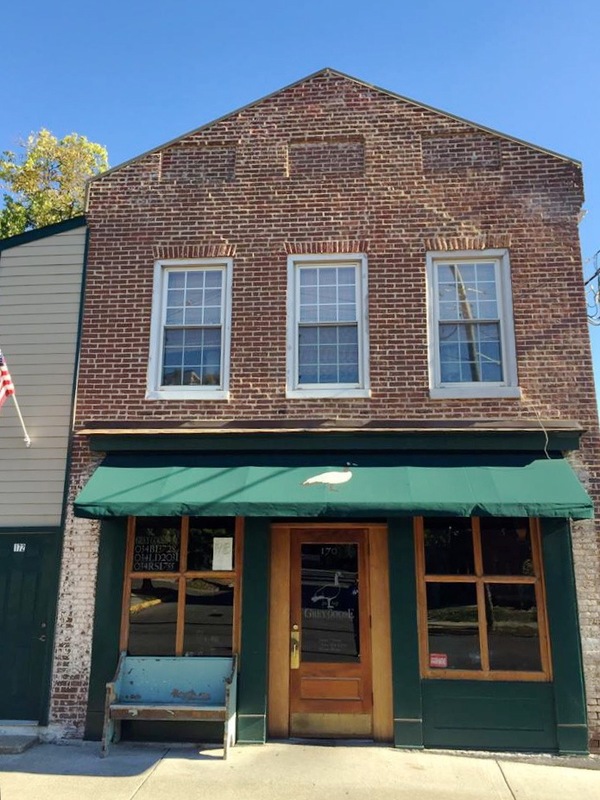 Smithtown Seafood is in the back of the Sixth Street Brewery. Elsewhere in the building, they're producing craft beer and running a bar. 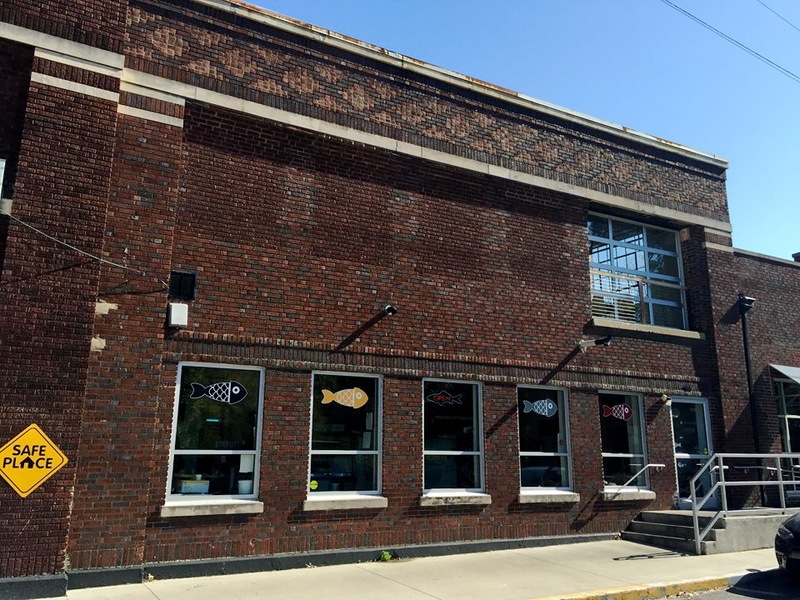 FoodChain Inc. maintains a hydroponic garden and Catfish and Tilapia tanks in yet another part, and their vegetables and fish are what you're served at Smithtown Seafood. Appetizers include Garlic Hummus, Pork Balls, Catfish Taco, You can order Catfish and Tilapia in various forms : sandwiches, dinners or with Weisenberger Cheese Grits (ever have Catfish & Grits?). Salads, using those greens from the hydroponic garden, are great. The Singapore Salad features various lettuces, pickled slaw, Thai basil, cilantro, mint, bean sprouts, rice noodles, fried onions, crushed peanuts, in a rice paper bowl with ginger soy vinaigrette. The Smithtown Salad has black eyed peas and Greek greens on a bed of shoots and sprouts. The House Salad offers special greens and shoots, tomatoes, garlic, and various seasonal vegetables. For nonseafood lovers, there are five Burgers, including a totally local Kentucky Burger, a Bacon Cheese Burger, Quinoa Burger, Brewer's Burger (banana pepper mustard, fried egg, mustard greens, tomato, onion and pickles), and Beef Wellington Burger (locally sourced beef, mushrooms, coffee - stout demi glaze, Barren County bleu chees, buttermilk onions, roast garlic, aioli, and microgreens on a croissant). Scallop Tacos and Fried Banana Peppers. Stella's is West of downtown. From the Hyatt walk a block west on Vine, then Main, to Jefferson, (the street coming north off the Viaduct). Turn right on Jefferson and two blocks up look for Stella's on your left in an old yellow frame house. It's primarily a Lunch place, but it may be the best lunch place you've ever seen. 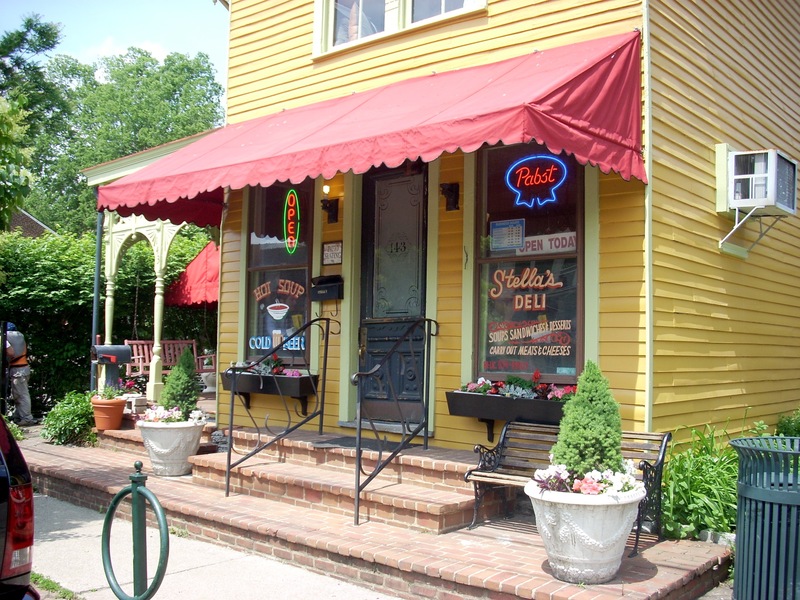 Stella's takes great pride in either raising or buying locally everything possible used in their kitchen. On their menu they list precisely where everything comes from : the meats, breads, eggs, cheeses, hand ground grits and flour, wines, all of it. Their $3 Soup Of The Day, $4 Salads and $3 desserts are always worth ordering, but the menu is really an All Star Sandwich roster. Many of them only exist here : Hummus & Tapenade, Apple & Bleu Cheese, Lentil Burger, Candy Bar Sandwich, Grilled Peanut Butter & Jelly, Brat Kraut & Swiss, Vegetarian Hot Brown, and Bagel & Lox. Some are common but just better here : Fried Green Tomato BLT, Reuben, Pimento Cheese, Lamb Burger, Hot Brown and Chicken Salad. Made with fresh picked local ingredients as they are, Stella's sides are pretty impressive : Tomato Aspic, Cole Slaw, Potato Salad, and Red Beans & Rice. Just about the only item on the menu originating outside the Central Blue Grass is the Smoked Salmon, but it makes a fine addition to any salad for $3. There are only a dozen tables inside, and over the noon hour they're usually full. You might consider coming earlier or later. On Fancy Fridays there are white tablecloths, candles and a more creative menu. Stella's opens at 10:30 daily, closing at 4 Mondays and Tuesdays and 9 the other days.